While at the MTV VMA's Sunday, RZA told E! Entertainment that Russell Crowe would be, "The baddest man alive," in his upcoming film. RZA also eluded that he certainly understands the magnitude of landing such a talented actor. He said, "He's a master of the craft. I'm quite sure that I may learn something from him." May learning something from him? Give me a break RZA, you'll definitely learn something from Crowe. The man is a legend. 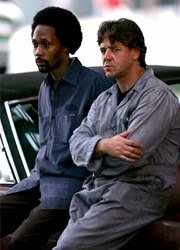 If you hadn't put two-and-two together, RZA and Crowe became friends while working on Ridley Scott's American Gangster and will be seen onscreen together again before "The Man with the Iron Fist" hits theaters in Paul Haggis' latest "The Next Three Days." "The Man with the Iron Fist" is not related to the Marvel comic book called The Iron Fist, but instead is a original story that RZA created with Eli Roth. The script has been compared to a spaghetti western mixed with modern multiculture. Back in January Roth spoke to the L.A. Times and had this to say about RZA's script. 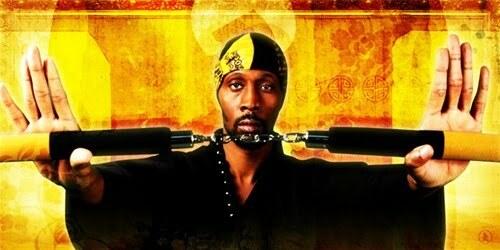 "RZA is such a creative fountain. The script is great, he's got characters, jokes. What he does with lyrics, he does with dialogue," Roth said. "And he's done such a great mix: spaghetti western, kung fu, modern fighting infused with hip-hop and multiculture. He has this whole comic book universe figured out. I know he's going to make a brilliant film." Everything RZA has done in the music world has been on point and there is no reason to think his film venture will be any different. RZA has a general artistic talent and his upcoming movie is definitely on my radar of something to pay close attention to. I already love the influences RZA has behind the idea, plus with Eli Roth helping mentor him, a $20 million dollar budget and Russell Crowe attached to star, "The Man with the Iron Fist" should be a enjoyable project to stay glued to.